It’s been a year since I toured the St. Regis Atlanta, which was recently voted in the top 20 US hotels by Travel + Leisure. 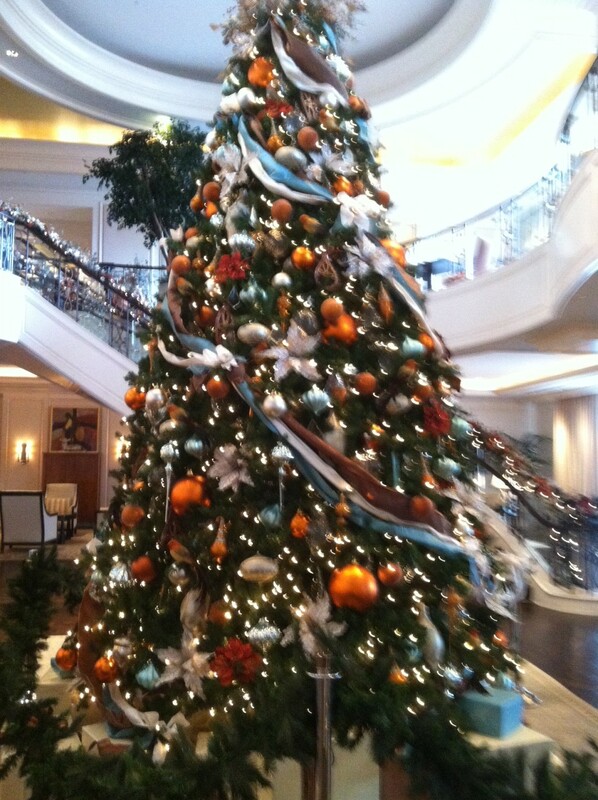 I love visiting the hotel at this time of year – there’s an immaculate Christmas tree and a life-size gingerbread house in the lobby, they turn the pool into an ice skating rink, and Santa is on hand for afternoon tea with the kiddos. Thanks to my fabulous rep, Jenifer, I was able to do more than just visit the property this time – I enjoyed the space and comfort of my Deluxe King Room for the night. 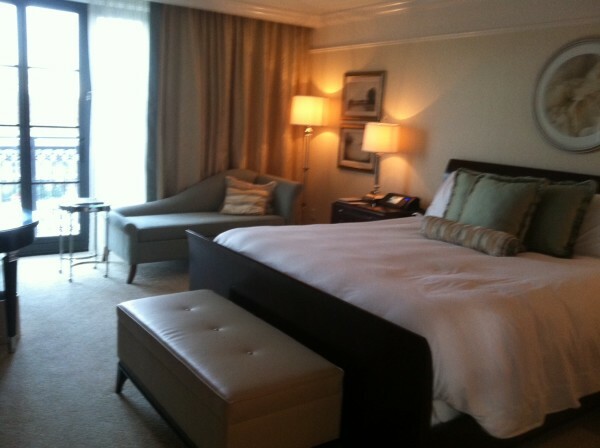 The rooms at the St. Regis are some of my favorites in the business – definitely the best in Atlanta. I love the Tiffany’s blue accents, the giant bath tub (this is a big stamp of approval – I’m a bathtub snob), the Juliet balcony, and they are so spacious. The decor is modern but not cold, just the right balance to make staying at the St. Regis feel as comfortable as your home (that is, if your own home came with butlers and TVs in the bathroom mirror…). Aside from the look and feel of the hotel, the service and location are fantastic. When I pulled up, I was greeted by the valet, who whisked me away to the doorman, who whisked me away to the front desk, who whisked me away to the bellman, who whisked me away to my room. That’s a lot of whisking, but it proved that from the moment you arrive, you are in very capable hands. It makes a world of difference for me to stay and experience the property versus just doing a walk through. 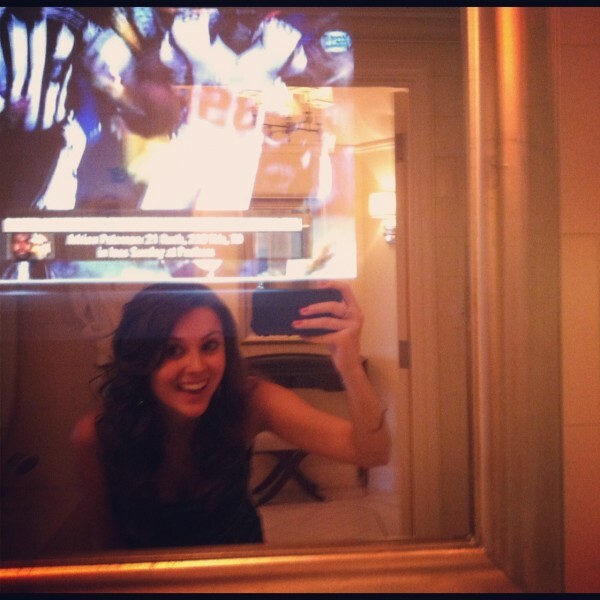 I’ll be honest, the St. Regis has always held a special place in my heart as my favorite hotel in the area…and after having stayed here, that favoritism just grew a little stronger. Plus, during this time of year, it’s like stepping into a winter wonderland. 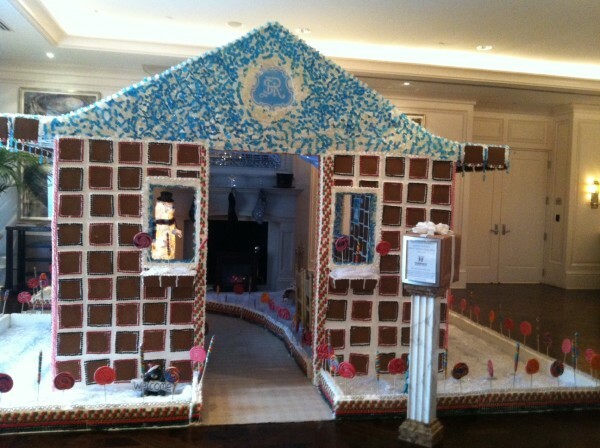 There’s a gorgeous, two-story tall Christmas tree, the pool is transformed into an ice skating rink, and the culinary team designs a different life-sized gingerbread house every year, so the whole lobby smells like gingerbread. If it got any merrier, I might not be able to stand it. It’s just the perfect place for any time of year, but Christmastime makes the St. Regis Atlanta a little extra special. Guests who book the property through me receive extra amenities from my Virtuoso affiliation – an upgrade upon arrival if available, complimentary breakfast, a $100 food and beverage credit, and more. This property is perfect for a quick romantic celebration, a family getaway to Atlanta, business trip, and anything else you can imagine. It manages to be a lot of things to a lot of travelers and always lives up to its bespoke brand name.